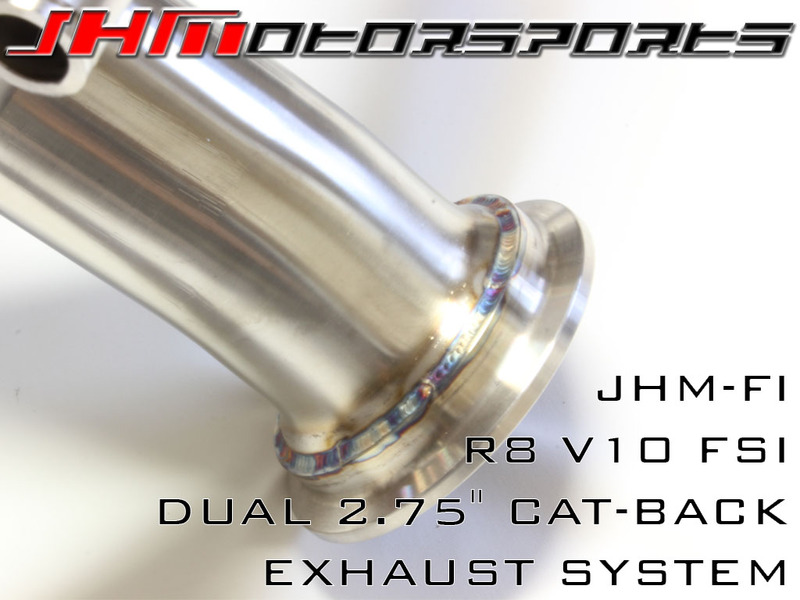 Introducing the JHM-FI 2.75 Inch Cat-Back Exhaust System for the R8 V10!!! Looking for R8 Performance ECU Software? Contact us today! 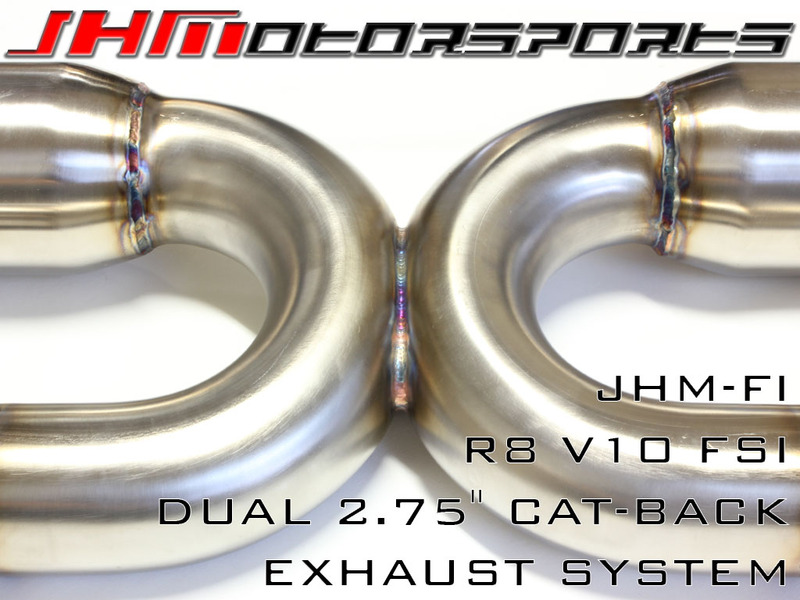 This Cat Back exhaust system is the premier upgrade for all R8 owners looking to maximize the performance from their 5.2L FSI V10 engine. Our exhaust system will enhance the sound that Audi created from the factory by making it smoother, deeper, and louder. Built as a direct OEM replacement, our exhaust system is easy to install with simple hand tools; no cutting or welding required. Our X Pipe is designed to increase low end torque and maximize power throughout the entire RPM band. The exhaust system is unobtrusive at idle and cruising speeds; but comes to life at wide open throttle. 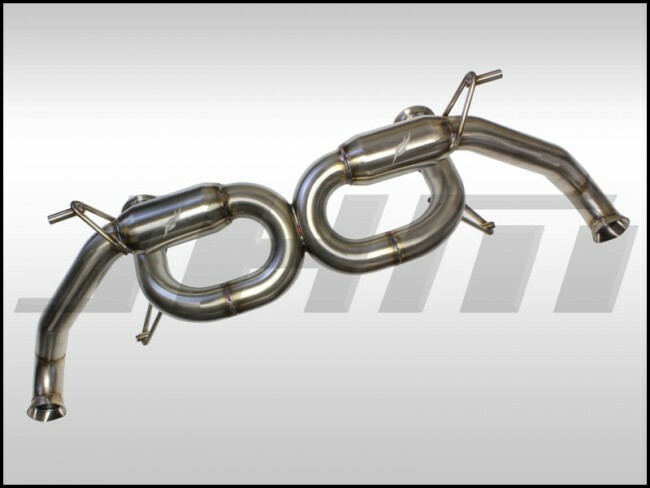 Our exhaust system gives your Audi R8 that exotic sound associated with European sports cars. With the addition of our exhaust system you will improve the aesthetics of your vehicle with its sporty and classy appearance. -Direct OEM replacement; no cutting or welding required. -Dual 2.75"mandrel bent T-304 stainless steel tubing. -Limited 3 year warranty on all welds, craftsmanship and resonators. -Application Specific: 2009-2015 Audi R8 V10. -Not compatible with S-Tronic transmission vehicles. -An increased average of over 20 all wheel horsepower & 24 foot pounds of torque over the factory exhaust. -Over a 50 lb.weight reduction off the rear of the vehicle. -Retains all factory heat shielding with no modification. 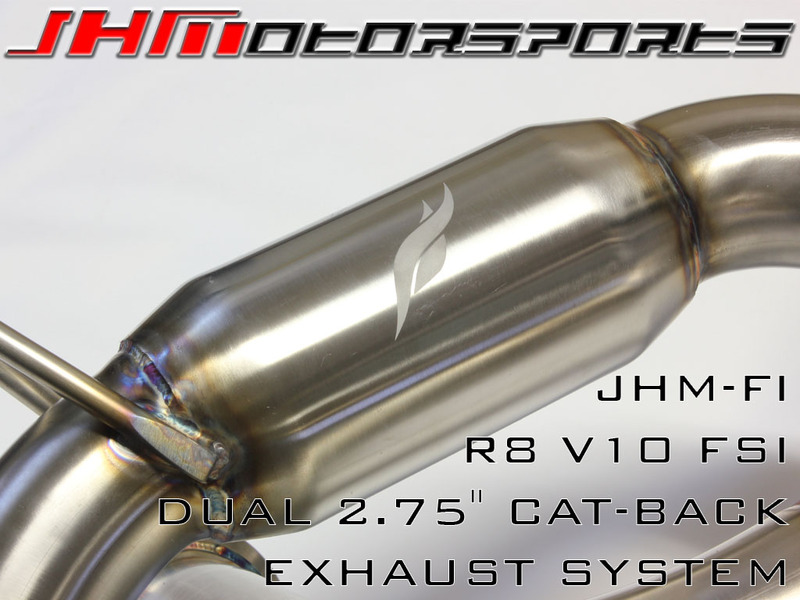 -Refining the factory exhaust note by increasing depth and volume. 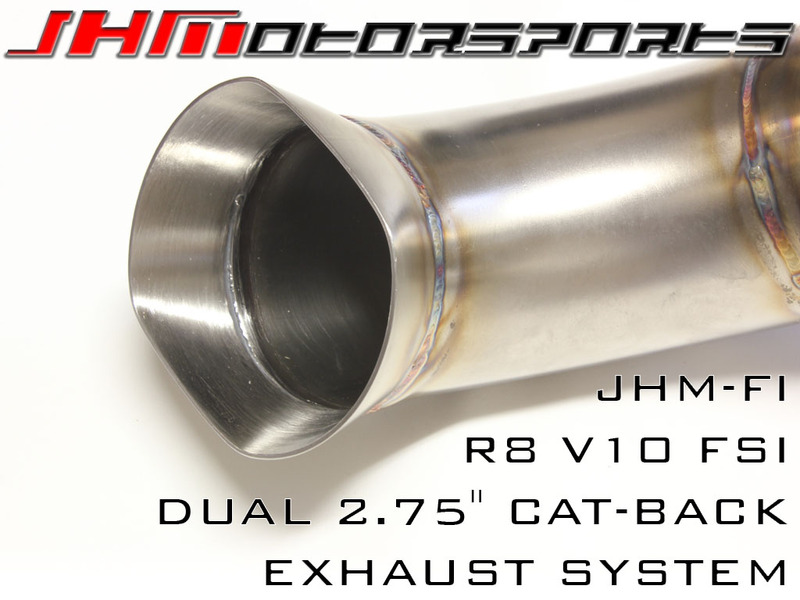 Note about build time and availability: Your 2.75 Inch Cat-Back Exhaust should ship out in 3 - 6 weeks from the date it is purchased.